Hello Doodlebug fans! 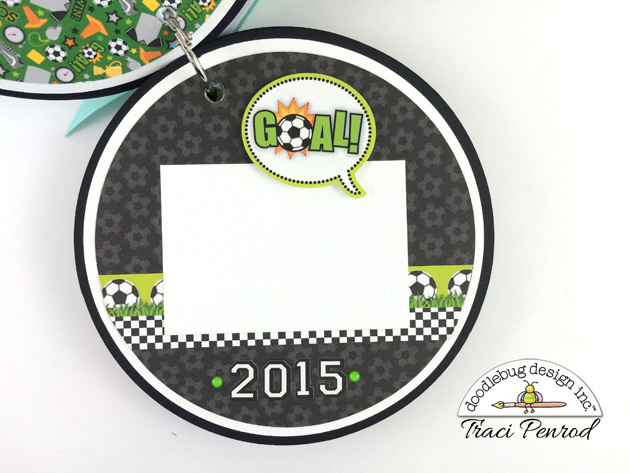 It's Traci and I'm back to share another mini using the new "Goal!!" collection. For this one, I created a fun box to go with my shaped album. 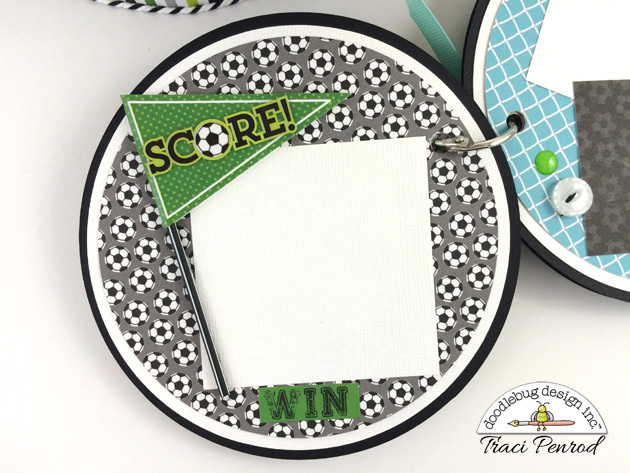 I think it will be a fun gift for a soccer coach! I cut the pieces for the box out using my Silhouette machine. 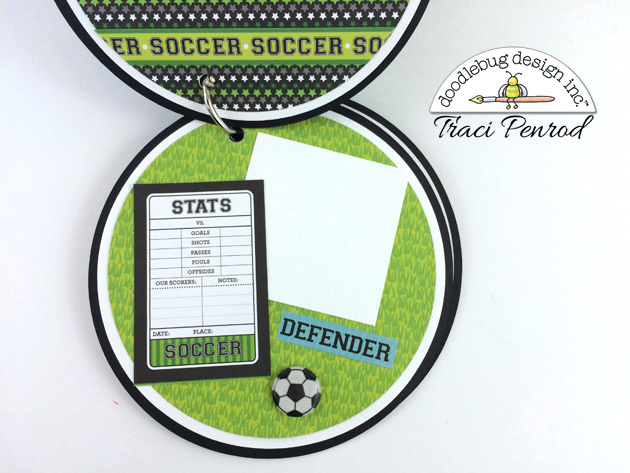 I used a thin chipboard and covered it with the new papers, some lily white and beetle black card stock, and lots of soccer ball sprinkles! I also added new chunky twine around the edges -- I can't get enough of this fun twine! For the album, I cut out several circles with my Silhouette and layered them with papers from the Goal 6x6 paper pad. For embellishments, I used pixie sticks, boutique buttons, stickers and enamel sprinkles. If you have a soccer player at home, you MUST get this collection. Everything about it SCORES! I love it! This is awesome Traci! Love the box idea! So cute!! Love all your minis!!! Love your mini album and coordinating box! There are so many fun details and elements on each of the pages! 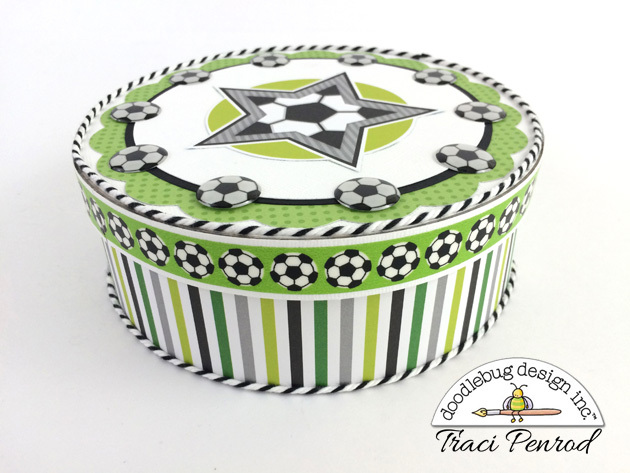 I absolutely love the Doodlebug Sports collections, looking forward to more inspiration from the DT! Such a cute idea! 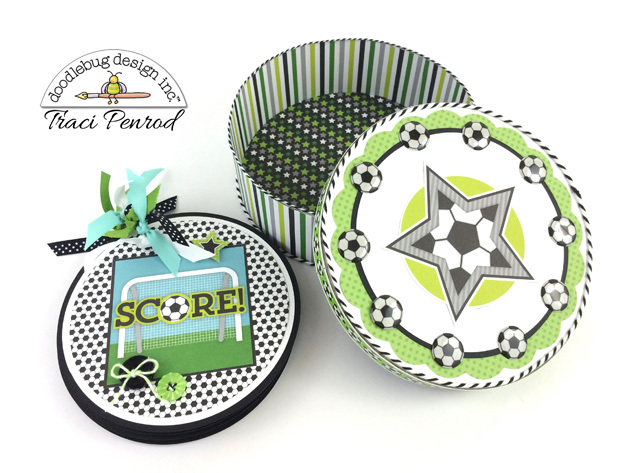 Love the circle shaped mini and coordinating box!! !